Due to the weather that’s happening out there, tonight’s Stormwater Management program has been postponed. We do not yet have a new date, but will announce it as soon as it’s scheduled. Everyone be safe! Green infrastructure can win a trifecta of benefits: managing heavy rain and snow, improving water supplies, and enhancing real estate development. 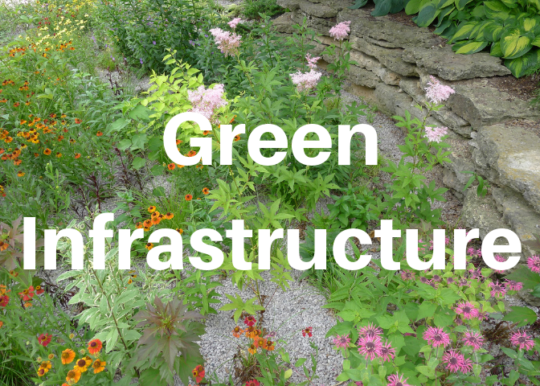 Great news: the NJ Department of Environmental Protection is issuing new rules for stormwater management that mandate use of green infrastructure such as bioswales, rain gardens, pervious pavement, tree wells, etc. Learn about these elements of landscape architecture and how they enhance aesthetics, health, and safety from Marian Glenn, Summit Environmental Commission member, and President of the Trustees of the Rahway River Watershed Association.